There are light hearted moments and times of tenderness within the tale, often involving the children. Forgiveness is another theme. Where it is hard, we need to seek God’s help. There are lessons on forgiveness to be learnt from children. 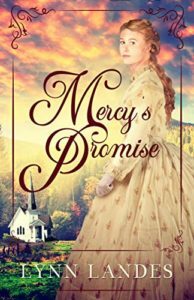 I really enjoyed Mercy’s Promise. It was a cracking story as well as highlighting God’s truths.